He said he was a remainer but believes the deal is better than being a full member of the EU. One of Scotland's most successful entrepreneurs has said Brexit provides the opportunity to make fishing a major and significant industry. 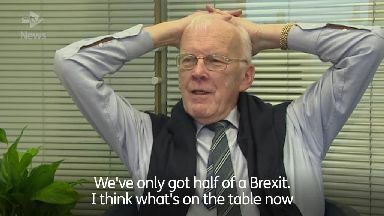 Oil tycoon Sir Ian Wood told STV News he was a remainer but believes the current deal is better than being a full member of the EU. He was speaking on the third anniversary of ONE, the business initiative he founded, and which is the UK's only private-sector led and funded regional economic development body. It's dealt with more than 500 companies, securing funding in a variety of sectors including oil and gas, food and drink, tourism and agriculture. 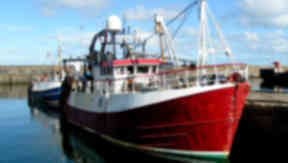 In relation to Brexit, Sir Ian said: "We have the opportunity of making fishing a really significant industry in the north east of Scotland. "We've got among the best and most-efficient fishing vessels in the world. "What we need to do now is significantly expand our processing capability and we're just beginning to talk to the industry about how we can do that. "I've read the paperwork very carefully. I've been involved in talking to the government about fishing and I actually believe we'll get our own coastal state and I believe we will significantly increase our share of quotas. "So over a period of time I think we'll catch more fish and what we've got to do is be able to process that fish. There's a chance of making a really sterling industry there." He added: "The way it's working out is we've only got half of a Brexit. "I think what's on the table now is better than being a full member of the European Common Market. "We've got the chance now to deal more openly with a whole lot of other countries. We won't have the fetters of being a European member. "After an adjustment period of two or three years I think our economy will get back into pretty good shape. "I think it's a muddle but I think it's possibly as good a muddle as we could have finished up with and I think it'll work if we all batten down to it." ONE's first milestone was securing £210 million of Aberdeen City Region Deal funding for a variety of innovation projects. Sir Ian Wood's Foundation has pledged more than £60m of funding over ten years. But he won't be returning to his most controversial project - the proposed transformation of Union Terrace Gardens, rejected by Aberdeen City Council five years ago. "I still have a massive regret over the Union Terrace Gardens issue," he said. "That would have been a huge modernisation step for Aberdeen and we didn't do it and it took a little while to recover from that." Asked if he would ever return to it he said: "No it's a thing of the past... sadly."